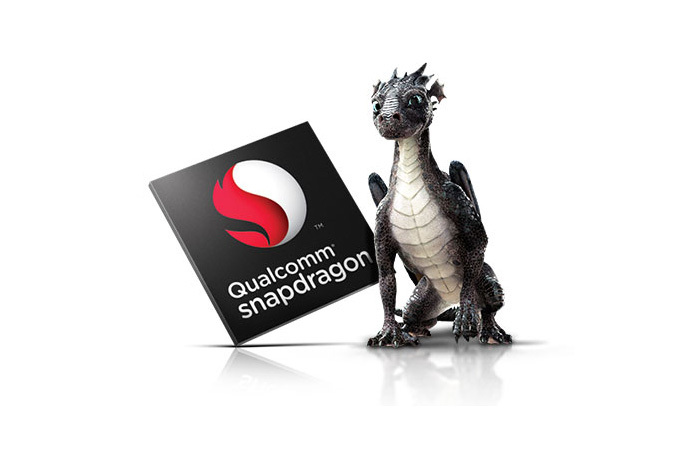 Today Qualcomm announced three new SoCs in the mid and low-end Snapdragon lineup. At the lowest end we find the Snapdragon 425 offering a very frugal CPU configuration consisting of 4x Cortex A53's clocked in at 1.4GHz. The chipset is aimed at replacing the Snapdragon 410 and 412 and improves on them with an upgrade on the modem block as well as media decoder and encoder capabilities, now enabling 1080p HEVC decode and encode. The Snapdragon 435 replaces the Snapdragon 430 which was only announced just a few months ago and also sees an improvement in the modem block used as we see it now going from UE Category 4 to UE Category 7. On the CPU side we see a 200MHz boost in the frequency of the faster of the two quad-core A53 clusters, now reaching 1.4GHz. In both the Snapdragon 425 and 435 we don't see a change in the GPU but it's possible clocks have changed; unfortunately details on the matter are still sparse. Both the Snapdragon 425 and 435 are manufactured on a "28nm LP" process but sadly it wasn't specified which foundry is manufacturing them. Most importantly comes the announcement of the Snapdragon 625. This is the successor to the Snapdragon 617 which along with the 615 has seen quite a lot of success in mid-range and budget smartphones. The CPUs remain two quad-core clusters of Cortex A53's but now the performance cluster is clocked at up to 2GHz representing a large increase to the 1.5GHz SoCs which the 625 is replacing. The GPU has also been upgraded from an Adreno 405 to a newer generation Adreno 506. The modem again has seen a slight upgrade from an X8 to an X9 block, allowing for an increase in the uplink performance if the network supports it. The biggest surprise out of today's announcements is the fact that the Snapdragon 625 is manufactured on Samsung's/GlobalFoundry's 14nm LPP process. Qualcomm thus is the first vendor to announce a non-high-end SoC to use a new FinFET manufacturing process which is quite astonishing as I hadn't expected vendors be able to do the migration so early on in the technology's lifetime, which may be a positive indicator that we might be seeing FinFET adopted across the mid-range earlier than expected. The new SoC should be sampling to vendors in mid-2016 with availability in commercial devices in the second half of 2016. Qualcomm is officially out of idea. Basically I just need to wait for MWC, SD820 release in the wild, let the survival to the fittest commence. The first to announce is relative.Mediatek hasn't released details on P20 but they talked about it and Mediatek itself has been forced to make this one, likely because of Spreadtrum. So chances are Spreadtum will be the first in the marketplace. Weird choices anyway, P20 is rumored at 2.3GHz, this one at 2GHz (or 2+) and nothing to get excited about, except power.Not dropping a couple of A72s in there feels like such a waste.